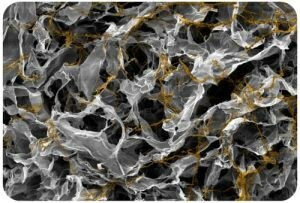 BIOMIMESYS® hydroscaffold 3D is the only technology based Hyaluronic Acid (HA) and extracellular matrix compound ready to use. BIOMIMESYS® hydroscaffold 3D technology is a natural HA-based hydroscaffold to better mimic the tissue microenvironment and provide more predictive tools for drug development. BIOMIMESYS® hydroscaffold products are formed by crosslinking reaction of hydrosoluble biofunctionnalized Hyaluronic Acid and others ECM components (Collagen, Fibronectin…)) with ADH (Adipic acid dihydrazide), to form the extracellular matrix. Depending on the organ, extracellular matrix components are different and at various rates, allowing a more or less dense and compact cellular environment. The physicochemical properties of the extracellular matrix (ECM) in which cells reside have emerged as an important regulator of cell behavior. To mimic the ECM, we Need to know the physicochemical properties (mechanical & composition) in normal and pathological organs. BIOMIMESYS® hydroscaffold 3D technology allows us to reproduce the cell microenvironment of each organ by modifying the composition and the elastic modulus to reach the target healthy or pathological organ.